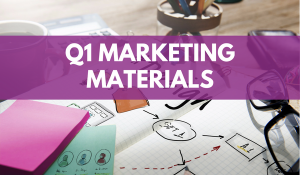 Q1 Sales and Marketing Resources Available now. Why not take advantage of your free exclusive sales tools? Office Friendly’s marketing department, KascAid, has recently released their suite of complimentary marketing tools for Q1. Kick off 2018 with some seasonal sales utilising the help of a full communications plan, email templates, and web banners. Check out our 12 week marketing plan detailing specially designed email campaigns, focusing on your key service areas, this quarter’s top promotions, and seasonal topics.Feel free to make changes to suit you! Access all areas of our template library for ready-to-go emails based on supplier promotions and product focused campaigns. Choose from over 50 designs every quarter! Support your marketing online by uploading our free web banners to compilation product pages on your e-commerce store. If they don’t fit, we’ll resize them for free! Click here to head over to the resources page where you can download everything you need for Q1. Don’t have time to coordinate your marketing? Last year we introduced Stream: KascAid’s low cost, zero-hassle marketing programme. Stream lets you send weekly e-shots without lifting a finger. We take seasonal promotions, add your brand and prices, and schedule at an ideal send time – all on your behalf.